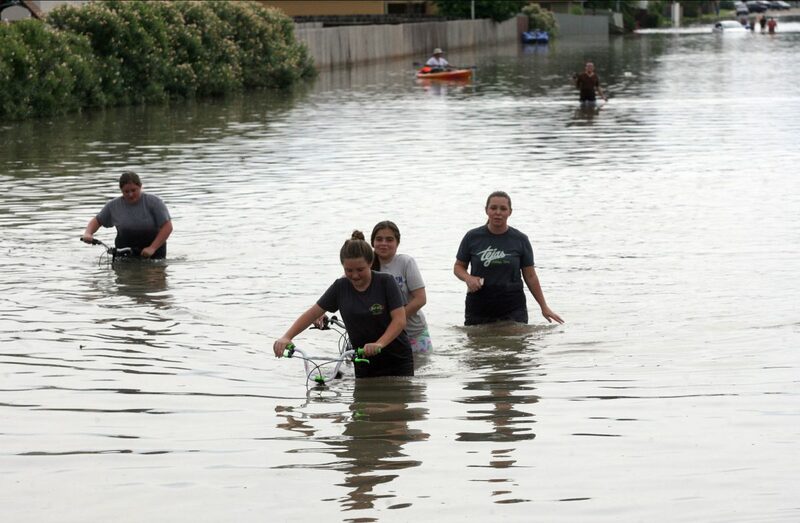 McALLEN — Days before another storm hit the Rio Grande Valley, including areas in McAllen, city commissioners here authorized city management to begin negotiating with five firms to jumpstart work on the drainage improvements which voters approved in May. There will be 20 drainage projects dispersed to five engineering firms for design, and city leaders are hoping construction will begin on most of the projects in mid-2019. The contracts with each firm will now be negotiated, and City Manager Roel “Roy” Rodriguez wants to have those contracts back to city commissioners for their approval in October, he said. The city has $22 million to work with, as voters approved that number in a May bond election for drainage improvements. Since May, the Valley was leveled with storms in June, resulting in some 2,700 damaged homes. It is unclear what kind of damages will come from this week’s rains. But city leaders have been eager to get going on the drainage improvements from May’s bond election, most of which will be conducted from the five firms — Halff Associates; Dannenbaum Engineering; R. Gutierrez Engineering; Cruz-Hogan Consultants; and Perez Consulting Engineers. Rodriguez predicted most of these projects will be completed in 2020, a few in late 2019 and the rest in 2021.